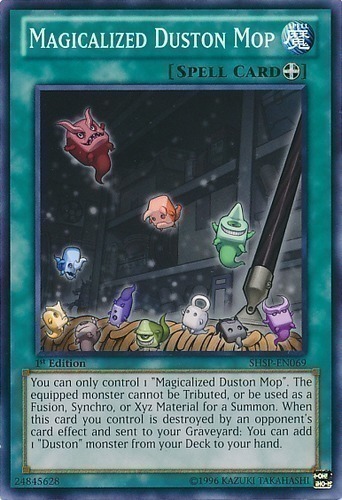 You can only control 1 "Magicalized Duston Mop". The equipped monster cannot be Tributed, or be used as a Fusion, Synchro, or Xyz Material for a Summon. When this card you control is destroyed by your opponent's card effect and sent to the Graveyard: You can add 1 "Duston" monster from your Deck to your hand.